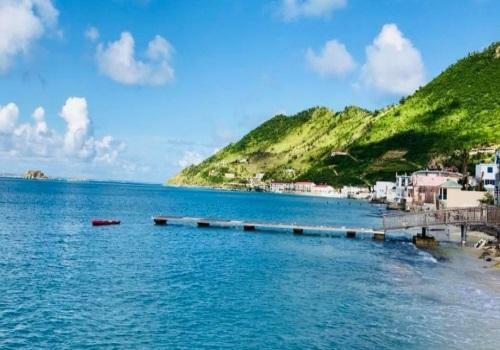 A fact so charming, it always has to be mentioned first: The island of Sint Maarten-Saint Martin is the smallest land mass in the world to be shared by two different nations. Only 37 square miles are governed by France and the Kingdom of the Netherlands (where Dutch Sint Maarten is an independent country within the Kingdom). 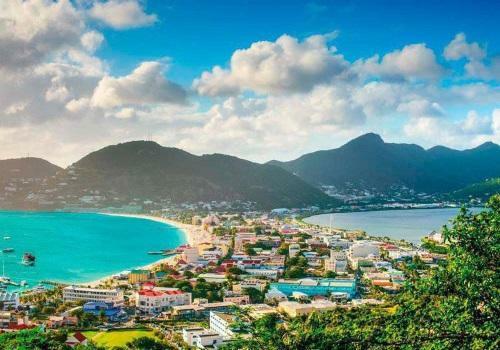 SINT MAARTEN – SAINT MARTIN provides vacationers the opportunity to enjoy three distinct cultures on our tiny dot in the Caribbean sea. There is the delightfulness and soberness of the Dutch on one side, the savoir-faire of the French on the other, and the blending of both with exotic native heritage. The French territory covers about two thirds of the island and is technically a part of Europe and the European Community. The Dutch side is an independent country since Oct. 10th, 2010 – still part of the Kingdom of the Netherlands, but not considered European territory. There is no real border, just modest monuments and signs. The island is known as an almost perfect holiday environment; beaches and nightlife are spectacular, shopping and dining the best in the Caribbean.To get an idea of the area covered by St. Martin, just imagine that it only covers 14.8 km (9.2 miles) from West to East and 13.2 km (8.2 miles) from North to South! But not to worry, this is the biggest small island in the world. Without visiting, its impossible to imagine the variety of landscape, cultures and entertainment to be found here. St. Martin just doesn’t FEEL that small… Its central mountain range provides for a rugged and interesting terrain, with winding roads up and down the hills, through small villages and still plenty of untouched land.The Caribbean’s largest lagoon is the Simpson Bay Lagoon, landlocked with the exception of two narrow channels with draw bridges. 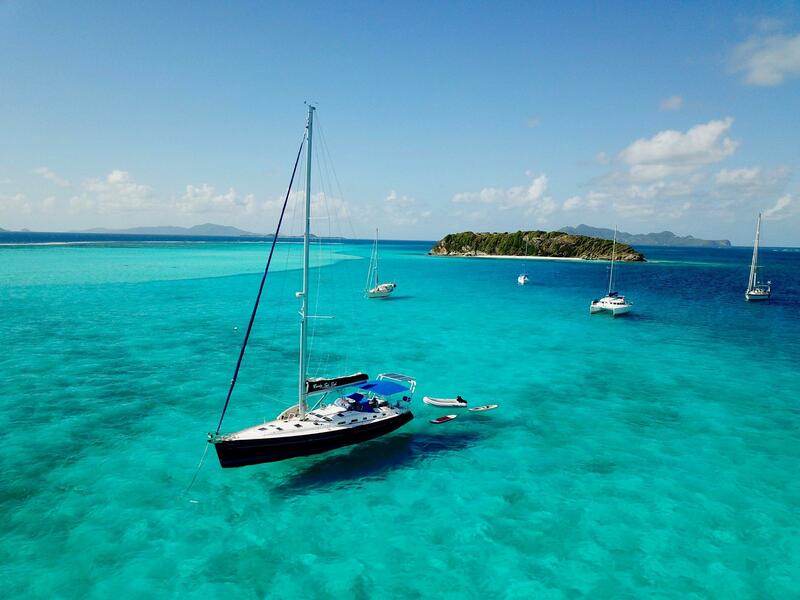 The Lagoon is large enough to have a real sail and is home to a giant fleet of yachts, which are either berthed in one of the luxury marinas or anchored in the sheltered waters. Created in 1998, the Saint Martin Nature Reserve covers 3,060 hectares, in the north-east of the French part of the island. 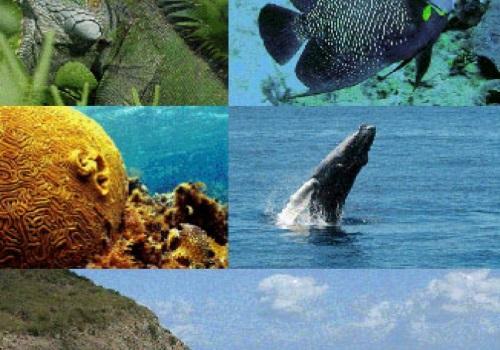 The marine part, with an area of ​​2,900 hectares, is located on the plateau which extends between the islands of Anguilla, Saint-Martin and Saint-Barthélemy. On the land side, 154 hectares, or 11 kilometers of coastline, were assigned to the Conservatoire du Littoral and are now managed by the nature reserve, as well as 198 hectares of wetlands, spread throughout the island. 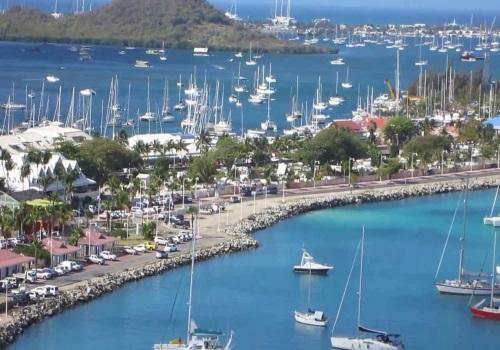 Philipsburg is the capital of the Dutch part of St. Martin, a Caribbean island shared by France and the Netherlands. Tourists eager to do business break into the tax-free shops of the Philipsburg shopping district, which stretches for almost two kilometers. Historically, Fort Amsterdam is the most important fortification of the island. 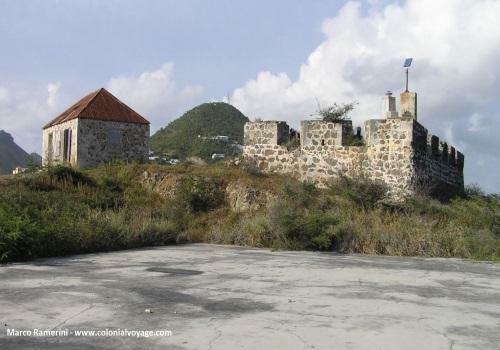 It was built in 1631 by the Dutch, making it the first Dutch fort in the Caribbean. On the northwest coast of Saint-Martin, the village of Grand Case is one of the most picturesque French villages on the island. The one and only street of Grand Case is surrounded by beautiful wooden houses, surrounded by hibiscus. The beach of fine sand, bordered by a turquoise water is pretty and very little frequented. You can also go diving to admire a lot of fish. The Loterie Farm is at the foot of the Paradise Peak, the highest point of the island at 424m high. 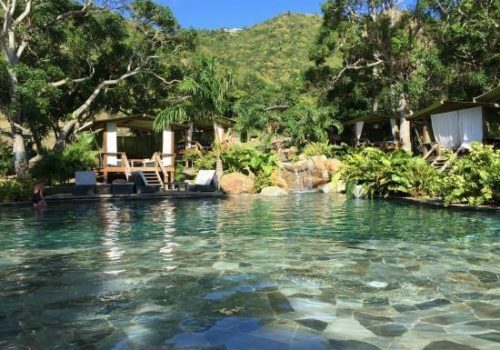 The contrast between this place and the rest of the island is surprising: the smells, the sounds of nature, freshness… The Loterie Farm is a real tropical jewel where plant and animal species are listed and carefully protected. Since a few years, this unique place offers a tree climbing course for adults and children alike. 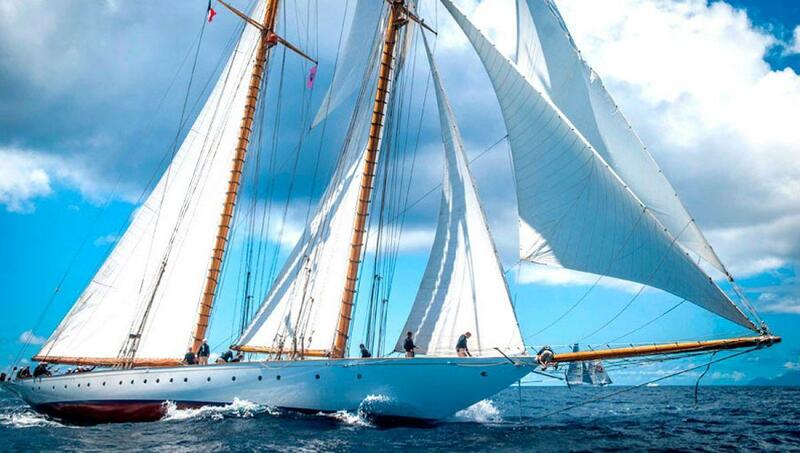 St. Maarten has become the yachting center of the Caribbean, home port to some of the world’s most outrageous mega-yachts.St. Martin is the ultimate micro cosmos, home to residents from over 90 different nations. The island broke out of the Antillean group of third-world economies and societies and became the exiting, active, bustling economic center of the Northeastern Caribbean. To be sure, there are problems associated with its rapid growth, but there are also stunning success stories to be told.One is the Concordia Agreement: The Dutch and the French side agreed more than 350 years ago that residents of either side of the island can be commercially active on the other side without any Red Tape or border difficulties. This contract of peaceful coexistence turns out to be the oldest active, undisputed treaty on our planet! St. Martin entered the “Big Time” during the Eighties when investor friendly policies on the Dutch side lead to a rapidly developing tourism industry. The French side soon followed with special tax incentives for French citizens to invest into tourism and charter boats.